The 1939-45 war forced the Allied countries to seek alternative sources of raw materials and, as in the First World War, attention was paid by all belligerents to the marine algae or seaweeds. These occur in considerable quantities in various parts of the world, and attempts to make use of this cheap and readily accessible, though not so readily harvestable, raw material have been made almost from time immemorial. Much of the work on the economic utilization of seaweeds has been published only in scientific journals and has never been collected within the compass of a single book. 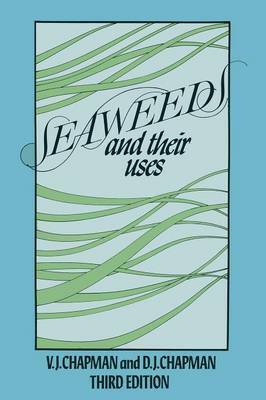 Tressler's work on The Marine Products of Commerce contains three useful chapters on this subject, whilst Sauvageau's book, Les utilisations des Algues Marines, is a mine of valuable information, especially as regards the use of seaweeds in France. Both these volumes are, however, somewhat out of date, Tressler's being published in 1923 and Sauvageau's in 1920. Furthermore there is no book wholly on this subject in the English language, and so the present volume has been undertaken in order to fill this gap. The opportunity has also been taken to incorporate the results of researches carried out since 1920. In certain aspects of the subject it will be found that considerable advances have been made, and in the present volume particular reference to such advances will be found in the chapters on agar and alginic acid.